What is The Pyramid Approach to Education®? The Pyramid Approach to Education is a comprehensive framework for establishing and supporting effective learning environments. 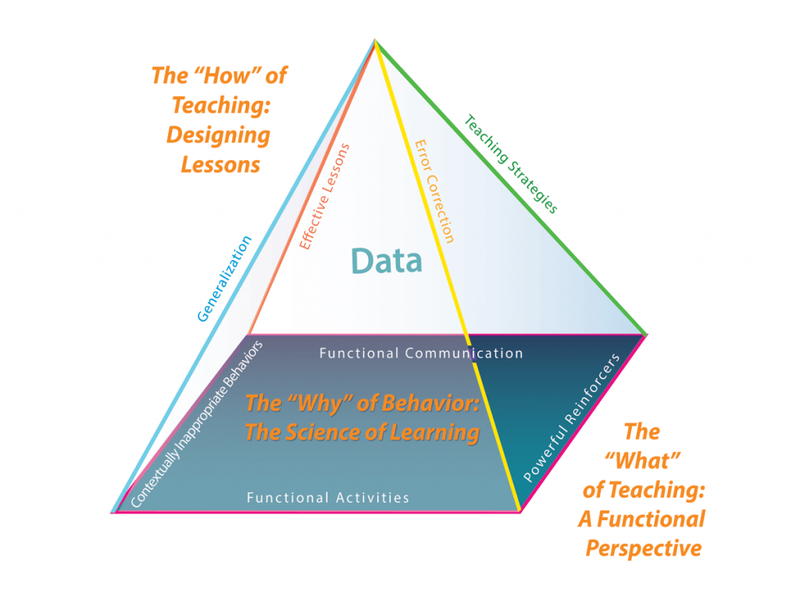 Designed by Andy Bondy, PhD, and based on the principles of functional applied behaviour analysis (ABA), The Pyramid Approach offers a solid foundation for those who teach in education, work, home or community settings. This unique model benefits individuals with developmental differences, autism, communication challenges and/or other learning complications across all ages. Maximising learner outcomes requires not only information about what and how to teach – it requires a plan to put all the pieces together. The Pyramid Approach provides a clear guide for everyone on the team to determine what elements to address in a specific order. Just as building a pyramid begins with establishing a firm foundation before constructing the body of the building, the Pyramid Approach begins with a strong foundation, relying on a science-based approach to teaching. The Pyramid Approach involves a distinction between structural and instructional components. All elements involve data-based decision making, requiring both systematic data collection and analysis. When all of the elements are combined, the approach results in success for staff, parents and students. By implementing the Pyramid Approach to Education you will build an effective learning environment that will result in progress and increased independence. The Pyramid Approach emphasises the “why” of learning and “how” to teach rather than simply “what” to teach, allowing each learner’s program to be individually tailored to meet their learning goals. To learn more about how you can use the Pyramid Approach to build more effective learning environments we recommend attending Pyramid Approach Training or contacting us to schedule Support Services.